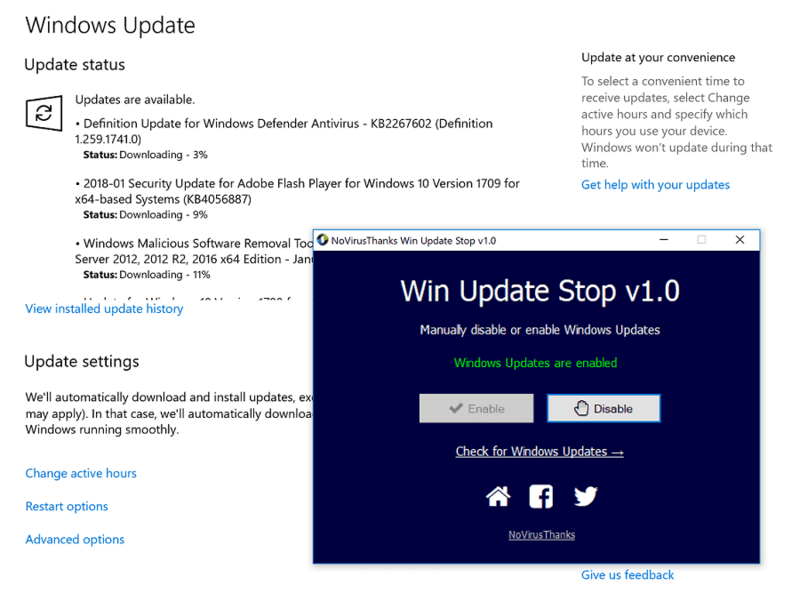 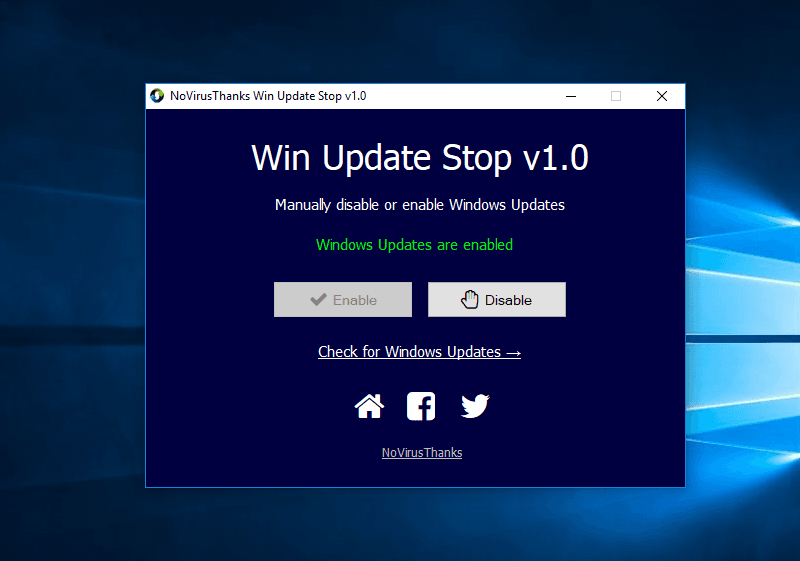 keep Win Update Stop installed in the system. 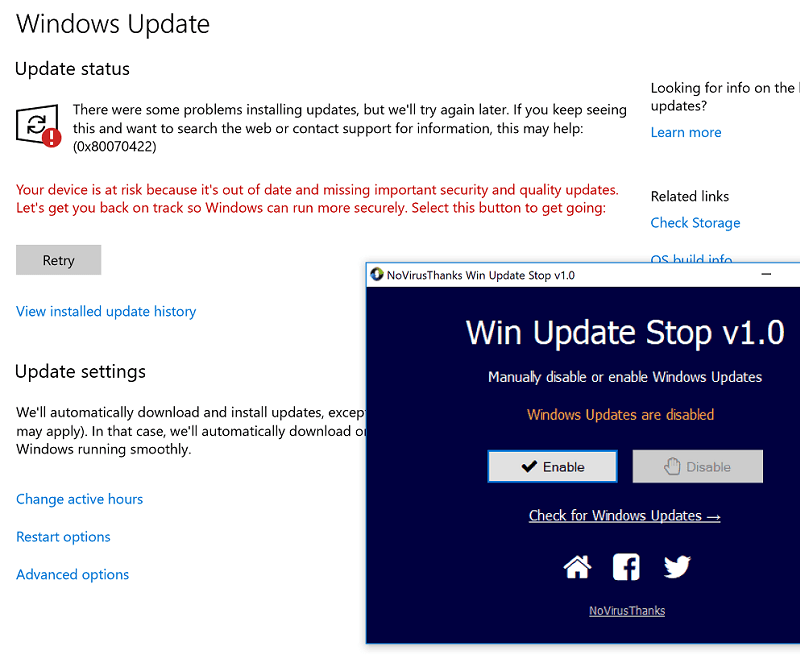 First, keep in mind that it is very important to keep your system up-to-date. 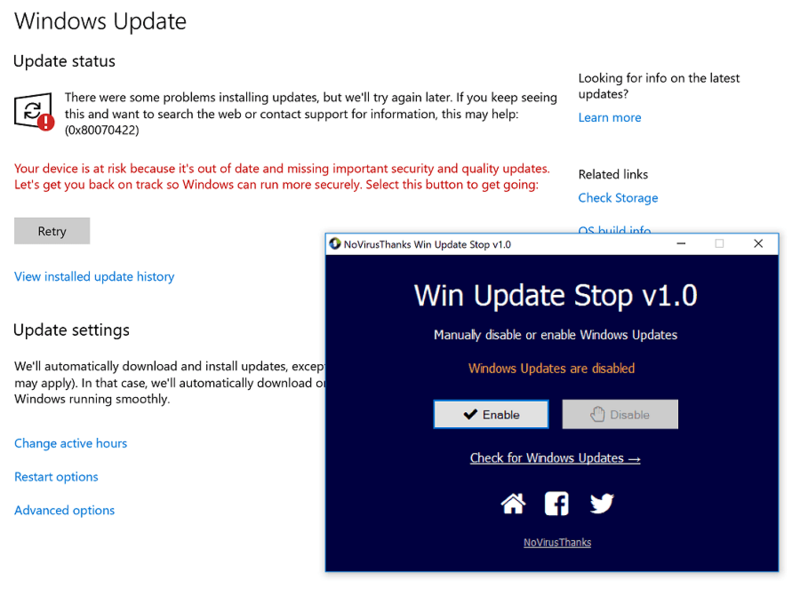 However, if you want to disable or stop automatic Windows updates, you can use this free utility. 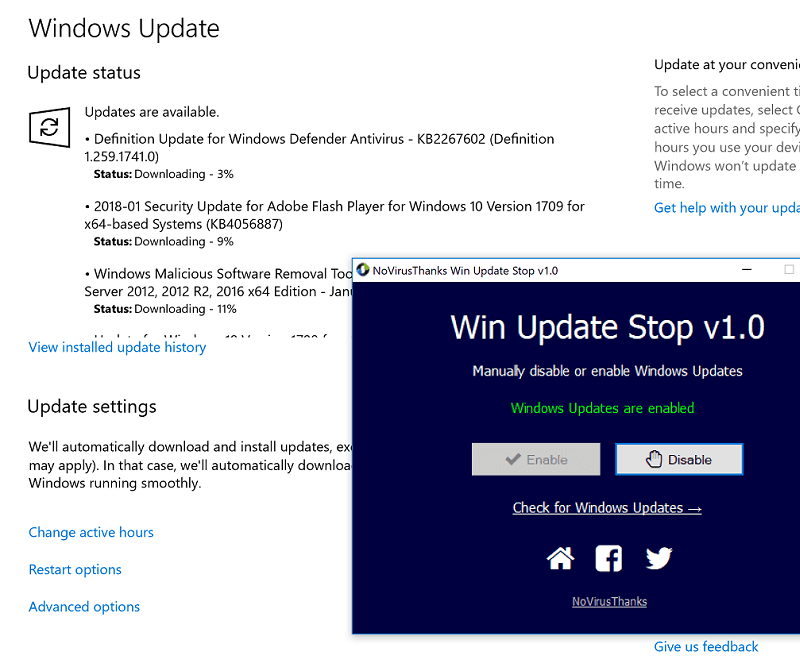 There is no built-in option to permanently disable automatic Windows updates via Control Panel or Settings App in Windows 10, and by default Windows automatically installs any update found. 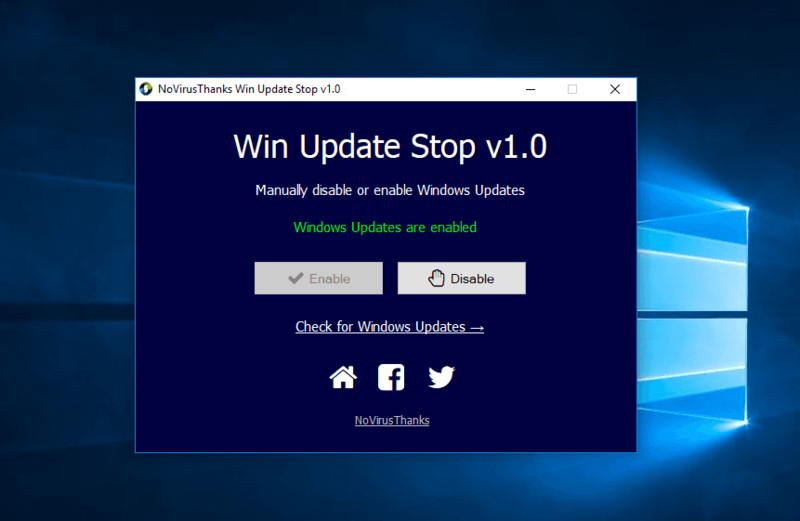 With this simple tool you can permanently disable Windows Updates and re-enable Windows Updates when you want.